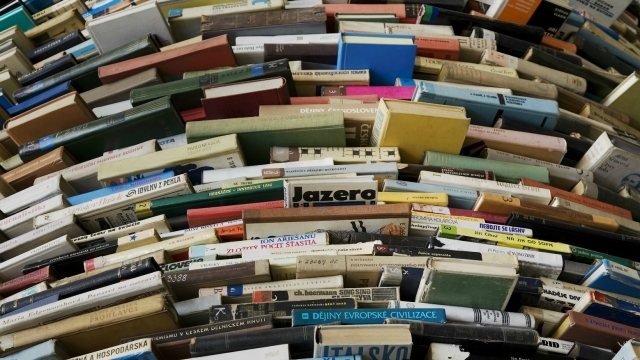 “Various kinds of books are used for reference and learning, but textbooks will be around for a while, as they spell out the curriculum and also provide some kind of structure to the syllabus for schools across boards. Right now, there is no curriculum laid down for schools. The National Curriculum Chamber prescribes the syllabus in a very broad manner and doesn’t have specifications. We get curriculums only for classes 10 and 12 from the board, not for other classes. In order to set a benchmark for rest of the students, it is essential to have textbooks to help decide what topics to teach. Textbooks set standards and norms for academics, and for students across the nation or the world for that matter. We certainly need a point of reference. A student, a teacher, an educationist, a school principal or any individual needs concrete guidance to know what constitutes the curriculum, what needs to be taught to the students, how much needs to be studied and so on. Currently, all of this is decided by our school textbooks. Consequently, as long as there is a need to define the curriculum, we would need textbooks in schools. A lot of people are suggesting that we do away with textbooks altogether and use gadgets instead. But this would be very difficult to implement and I do not see it materialising anytime soon. The major shift in the future, would be that textbooks would not be the only source of reference and learning would not be limited to textbooks. There is an urgent need for a transparent investigation into the system that resulted in the unwarranted suspension of the Hyderabad University students and, consequently, the suicide of ‘a mother’s son’. 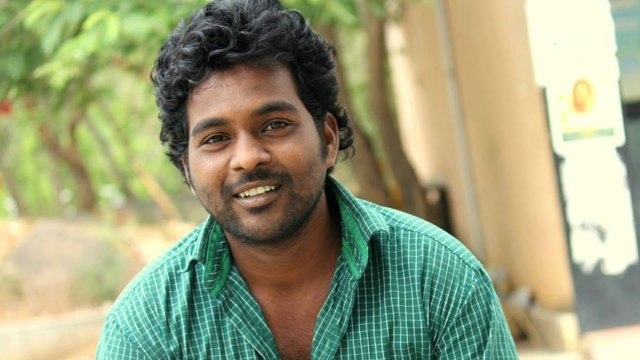 Rohith Vemula, Senthil Kumar, Ajay Chandra, Balamukund Bharti, Manish Kumar, Madari Venkatesh— the list of suicides by students of premier educational institutions in the country, as a result of alleged societal and institutional bullying and harassment, goes on. The vagaries of life in India dictate that instead of focusing on the core problem—the eradication of caste-based discrimination—we are consumed by the noise from a variety of other issues. At one end, we have precious investigation resources consumed by the ridiculous question of whether Rohith was an ‘actual’ Dalit or had fraudulently obtained certification under SC/ST. The answer to this is in the latter having the obvious political benefit of collapsing the case against the numerous government players. This is reminiscent of the victim-blaming phenomenon that was seen earlier in the “Is the meat beef or mutton?” debate that is still eating (apologies for the pun) our police time. Then we are all witness to the state and national-level political buck-passing where bureaucratic letters are literally being waved around and theories expounded that parts of the suicide note were erased— a lot of paper, no information. Yet another angle is the communal filth on campus as the clashes between the opposing factions of ABVP and ASA simply cannot be whitewashed away, especially in the context of recorded accounts of SC/ST students being denied hostel places, academic bias and even discrimination in cases of sexual assaults. Given the rather muddled background, there are two fundamental pillars in this current state of disharmony and tension. The first is the reservation system itself and the bizarre dichotomy of the political approach towards their obligations in this regard. The history of reservations, based on the caste system in India, has a complex path, from pre-Independence measures by certain provincial rulers to laws promulgated by the British to the most recent controversial adoption of the Mandal Commission findings by VP Singh in the 1990s. As recently as October 2015, the Supreme Court reiterated its call for an end to the current non-merit based reservation system as an ineffective measure of affirmative action. This direction by the judiciary of the country has been largely ignored for 23 years since it was first made as no government wishes to publicly take a stance and reform the system for fear of antagonising the significant SC/ST/OBC vote. On the other hand, there is pure apathy to the harsh realities of how the common SC/ST/OBC members live and promises of inclusive development ring hollow. That the quota system in India is ineffective is largely accepted. Bizarre situations where powerful, wealthy and elite communities, headed by the likes of Hardik Patel, are now demanding access to the system once touted as the saviour of the untouchable class are more indictment of the same. The fact that there are ‘conversion’ mechanisms whereby people have chosen to belong to the SC/ST/OBC bracket to gain access to college places and jobs is not surprising in a country where MBA and other post grads comprise part of the 14,000 applicants for 300 odd sweeper posts. Such a situation leads naturally to resentment which further fuels casteism. So what has to change? In the short term, there is an urgent need for a transparent investigation into the system that resulted in the unwarranted suspension of the Hyderabad University students and, consequently, the suicide of ‘a mother’s son’. It is highly unlikely that anything concrete will emerge from the lawsuits against the government ministers. The focus should shift from blame games to positive, practical outcomes for those afflicted, sending a strong message of support to the victims and dissuading individual and institutional perpetrators at large. Enforcement of disciplinary and penal action is the need of the hour to restore faith in the system, faith which has been brutally rocked by the continuing ineptitude of the response teams. It is imperative that the state is seen as compassionate through the release of the funds owed to Rohith so that his family’s suffering is eased. In the longer term, a complete overhaul of the quota system that looks beyond simply reserving college and job seats to actual integration of people is essential. There are many examples of reservation systems that go beyond quotas and create meritorious foundations with sufficient room to encourage diversity, from access to education and workplaces all the way through to building a sustainable cultural change. We should collectively look at these systems. While caste-based reservation is unique to India, many other countries have affirmative action legislation designed to build equality. Examples include New Zealand’s ongoing treaty settlement process with the indigenous Maoris and Norway’s 40% quota for women in corporate boardrooms. At the end of the day, the only change we want to see is that we build a meritocracy that has equal access and opportunity at every stage for everyone, irrespective of caste. In order to achieve that, we need to change our language, our behaviour and demand that our systems do the same. Creativity demands nurturing…and digital creativity demands a whole heaping load of heavily specialized nurturing. Whether you’re interested in web esthetics and design or even computer animation, there are a host of critical programs, platforms and techniques you’ve absolutely got to learn. So if you’re looking to become an artistic web professional, start with this fully-loaded Ultimate Design and Animation bundle of courses, now only $29 in the TechnoBuffalo Deals Store. This package from online education leaders eduCBA gives you lifetime access to more than 60 courses that’ll run you through everything you need to know about computer-aided design (CAD), animation, engineering — everything! Added bonus: you can get certified in a full suite of CAD, Adobe, MAYA, engineering and animation courses. Under the Adobe banner, you’ll have access to training in CorelDraw, Flash, Photoshop, InDesign, Audition and more. If 3D animation and modeling is your thing, sample from a motherlode of MAYA instruction – stuff like 3D Design, Bouncing Ball, Character Animation and Shave & Hair Cut training. Or specialize in other digital animation disciplines like ZBrush, Unity 5, Cinema 4D, Nuke or Mudbox. No matter where you want to focus your attention, this bundle’s got option after option to load you up with the exact training you need. 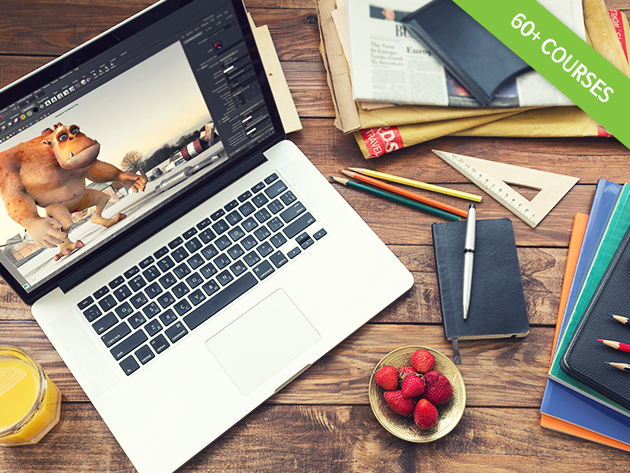 Grab more than 200 hours of instruction with this all-inclusive package, now a ridiculously low 98% off its regular price.